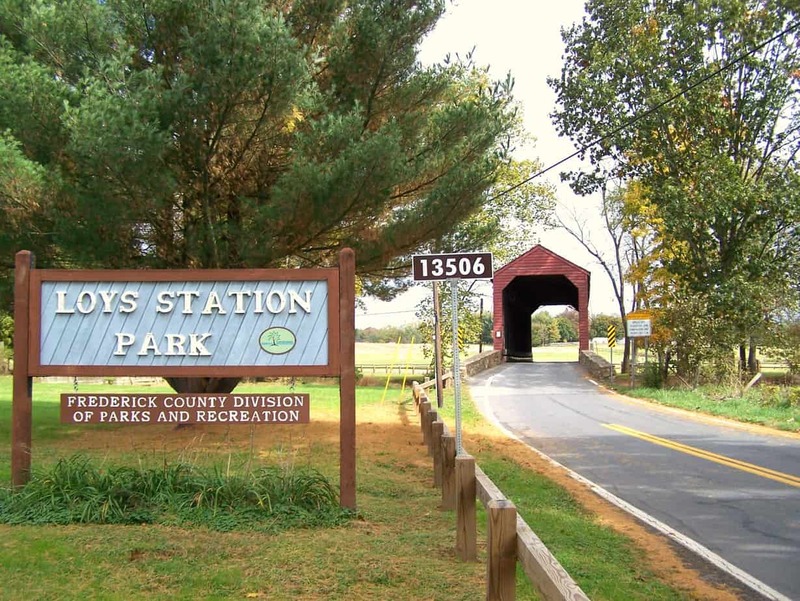 Only 6 covered bridges remain in the state of Maryland and there are 3 of them located in Frederick County. How lucky are we to live here? All 3 of these bridges have had repairs done throughout the years in order to maintain their existence. 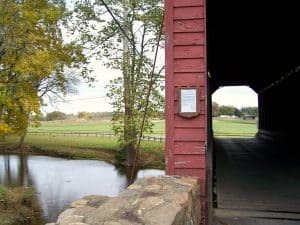 Visiting these three covered bridges is something I’ve always wanted to do, but have never taken the time out to do it. Yesterday, I finally took the opportunity. If you decide to trek out to these bridges, make sure you either MapQuest the directions or bring your GPS. 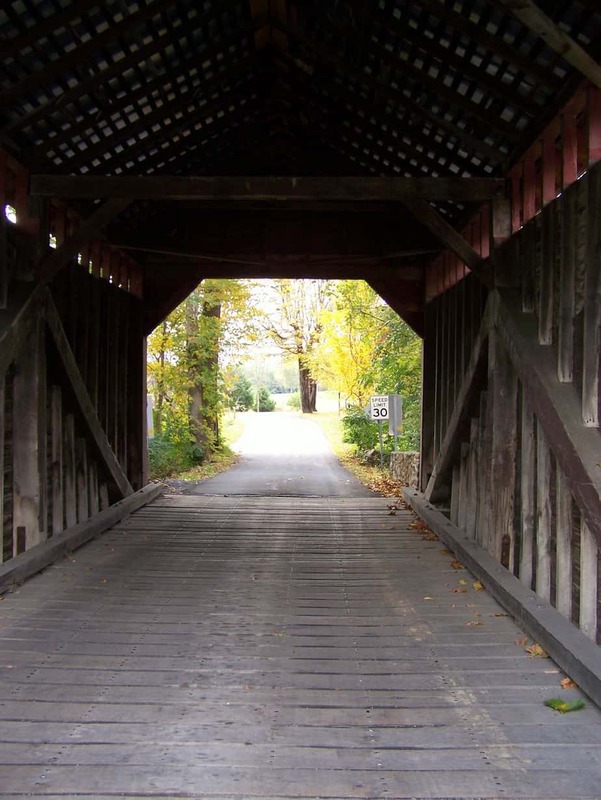 Even with a GPS, these bridges can be a challenge to find. 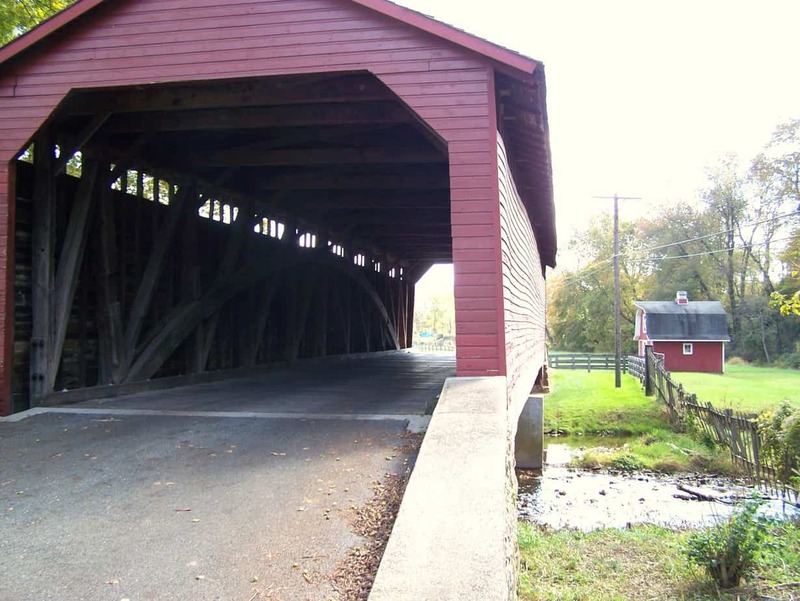 The first covered bridge I visited was the one furthest away. 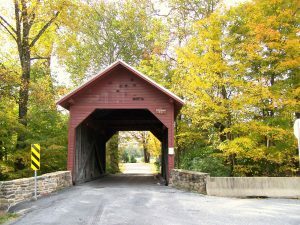 It is Roddy Road Bridge in Thurmont. 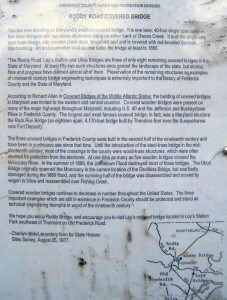 Roddy Road Bridge was built in 1856 and hails over Owens Creek. It is about 1/2 a mile off of Rt. 15 at the corner of Roddy Road and Roddy Creek Road. When I got there, I was able to park in a little gravel parking lot across the little street and walk over to take pictures. 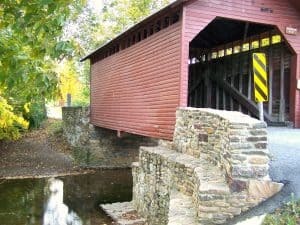 You can walk down to the creek underneath and do some fishing. I saw some really good fish swimming around under there. 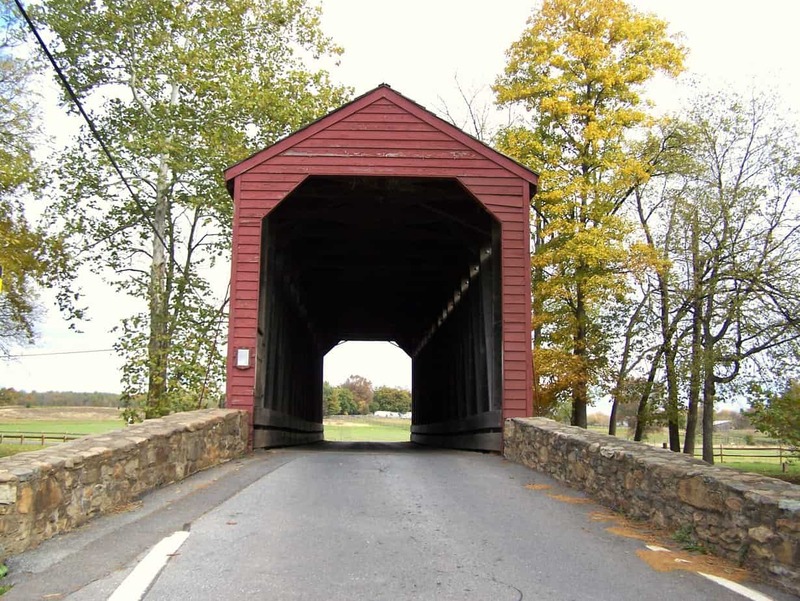 Roddy Road bridge is the smallest covered bridge in Maryland. It measures just under 40 feet in length. It is hard to describe the peace I felt when I parked my car and walked over to this bridge to take pictures. Besides the slight background sound of the cars on Rt. 15, it was extremely quiet except for the sounds of nature and the water running under the bridge. 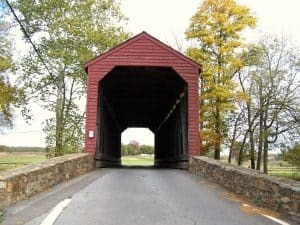 Not once did a car drive over the bridge while I was there. 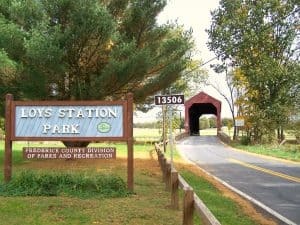 The next bridge I visited was Loys Station Bridge. This bridge was originally built in 1848. However, in 1991 a truck was set on fire while sitting on the bridge as an insurance fraud scheme. 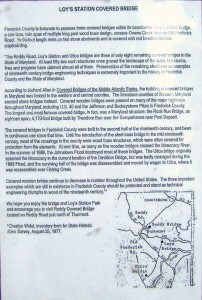 The arson destroyed the bridge. It was rebuilt in 1994. 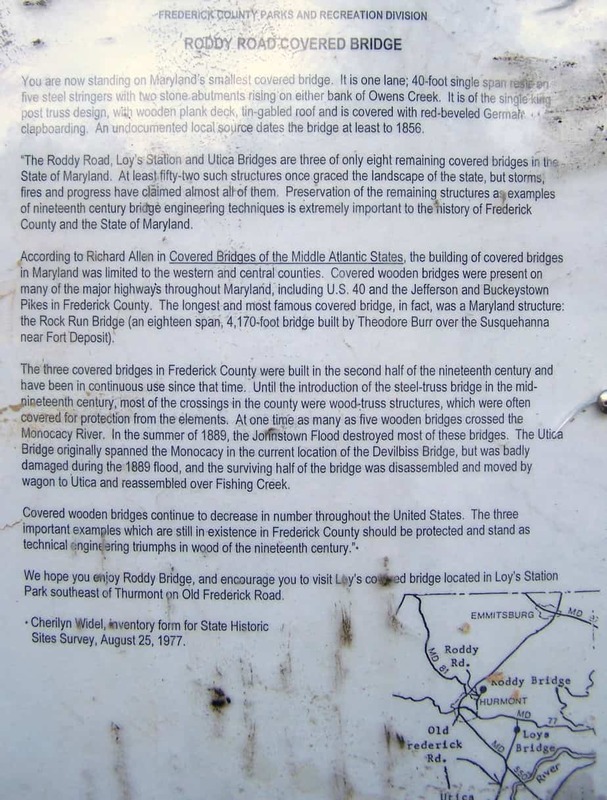 Loys Station Bridge also crosses over Owens Creek. 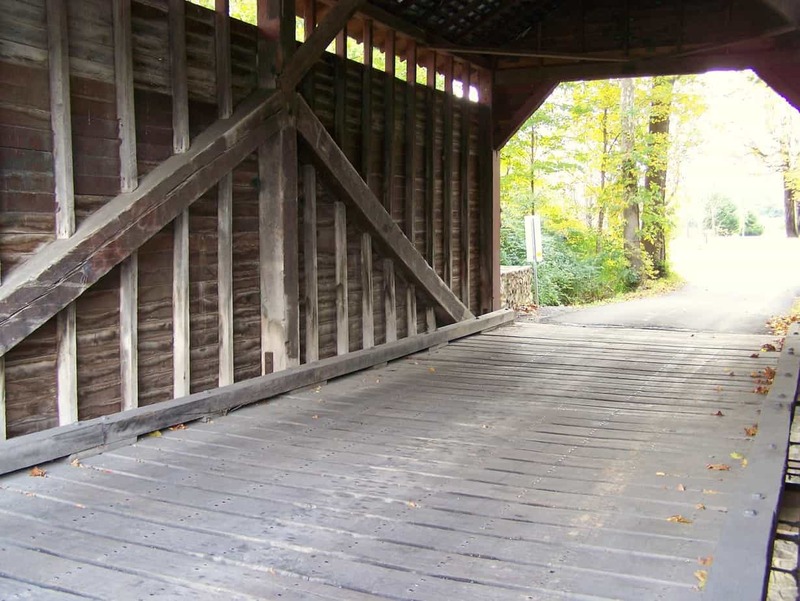 This bridge resides next to a nice park with a playground, picnic tables, a pavilion, and bathrooms. It a beautiful spot to bring the kids, have a picnic and enjoy the gorgeous scenery. There were more cars driving over this bridge and I had to move out of the way a couple of times while taking pictures. 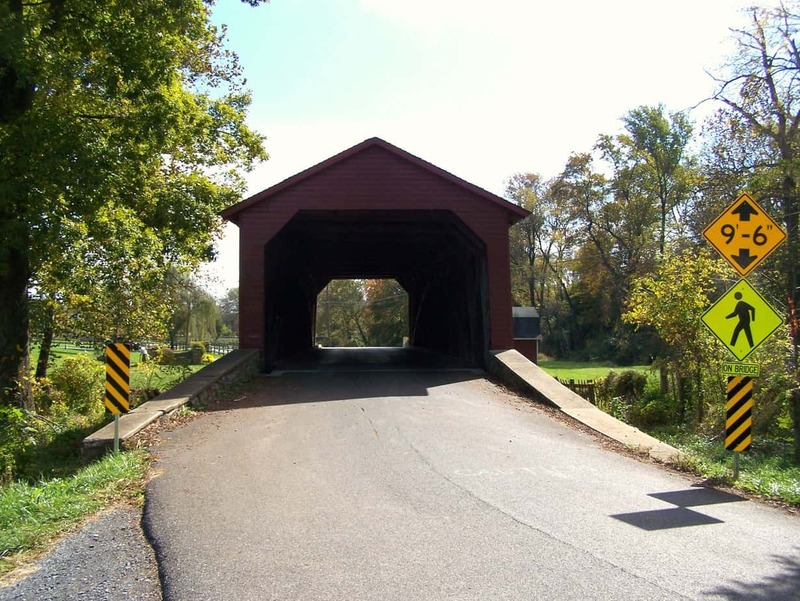 However, there are several safe areas to stand near and under the bridge. 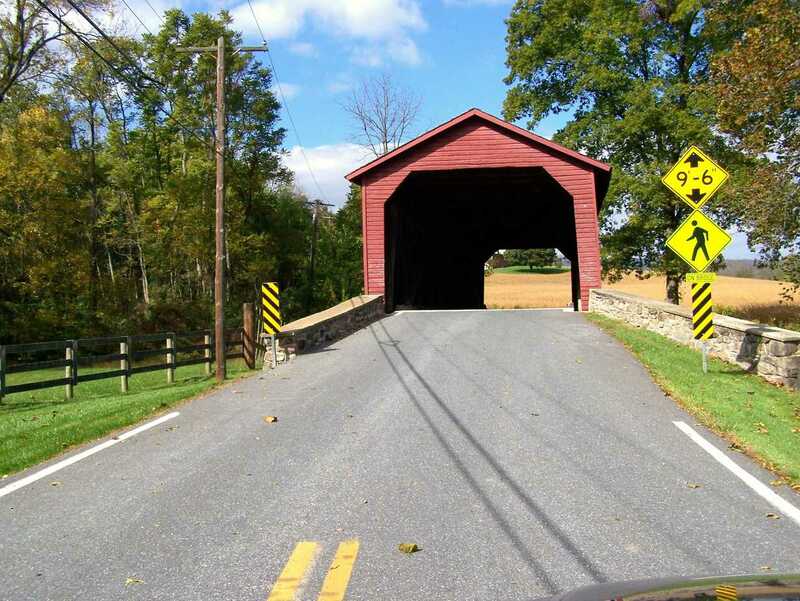 Loys Station Bridge is located on Old Frederick Road in Thurmont. The final bridge I visited was Utica Mills Bridge. 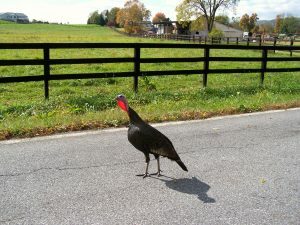 It was a gorgeous drive through the Thurmont countryside. 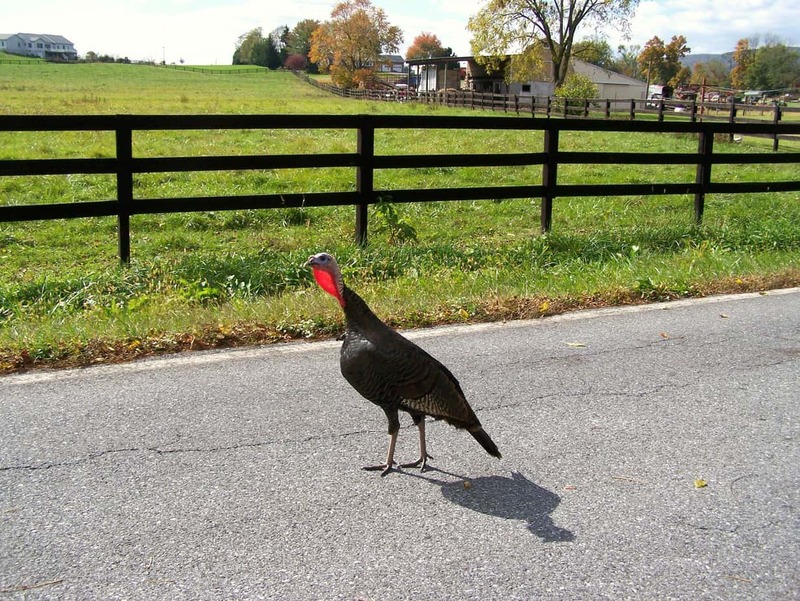 I even had to stop for this turkey who was standing in the middle of the road and looked at me seeming to say, ‘Who are you and what are you doing driving down my road?’ I wanted to tell him he better fatten up because he’s only got another month before he’ll be on a big ole platter! I kid! Hopefully he was strictly a pet. 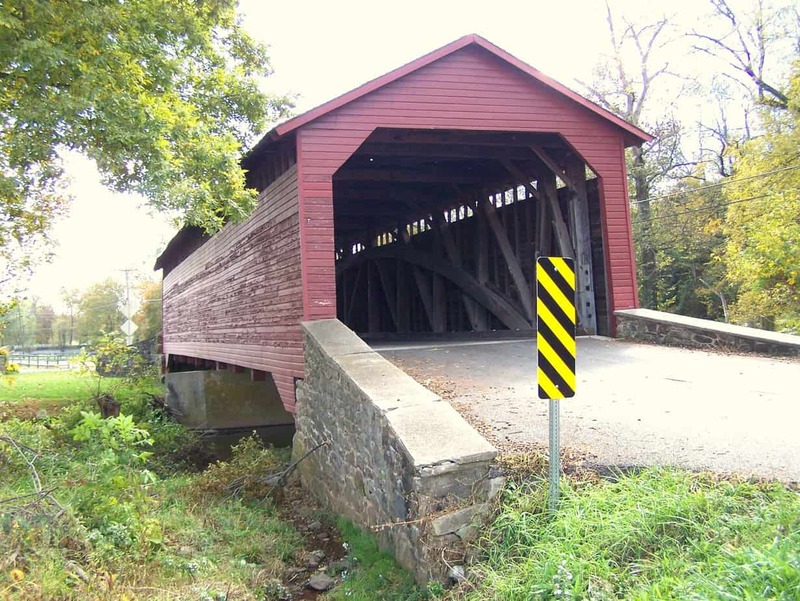 Utica Mills Bridge was built in 1843 and crosses over Fishing Creek. To get there, drive to the intersection of Rt. 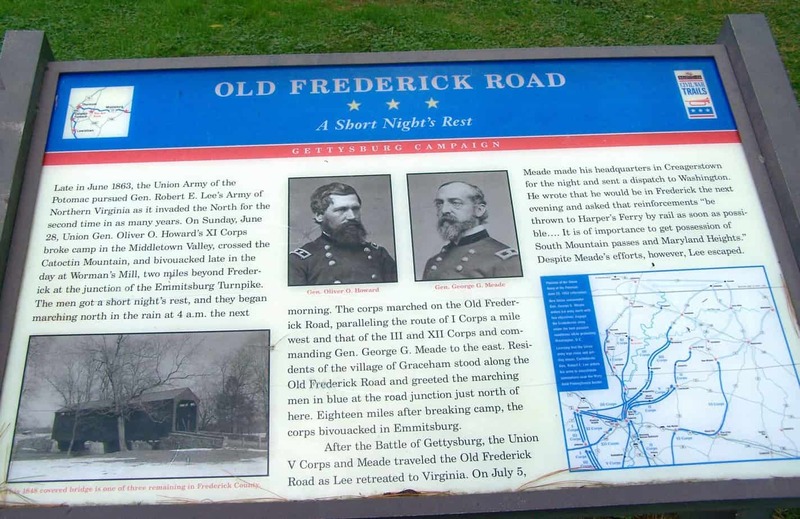 15 and Old Frederick Road, then drive East 1.5 miles and turn left onto Utica Road. As I approached the bridge in my car, I realized that there is no place to park. 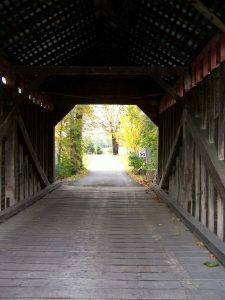 This bridge is located on a residential street. 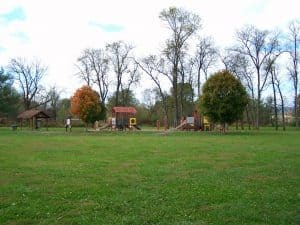 I was a little bit disappointed, but turned around and found a small area on the side of the road to park and take pictures. 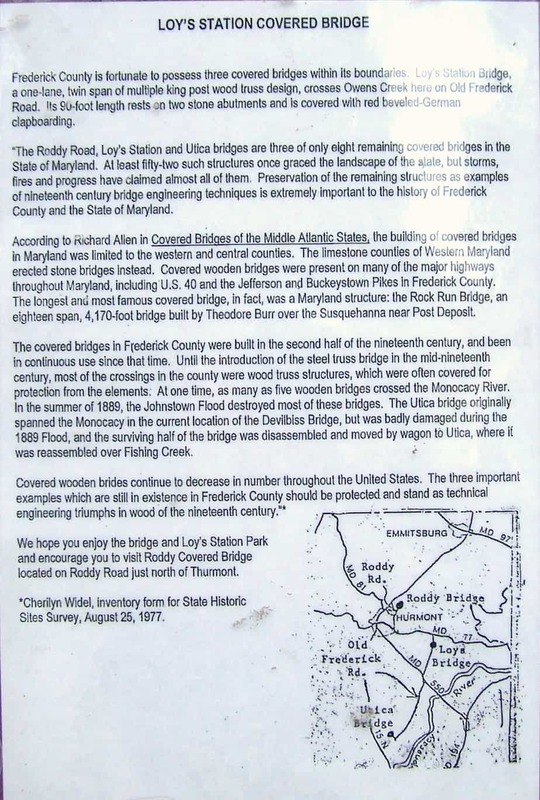 An interesting fact that I found out about this particular bridge is that it originally stood over the Monocacy River on Devilbiss Road. 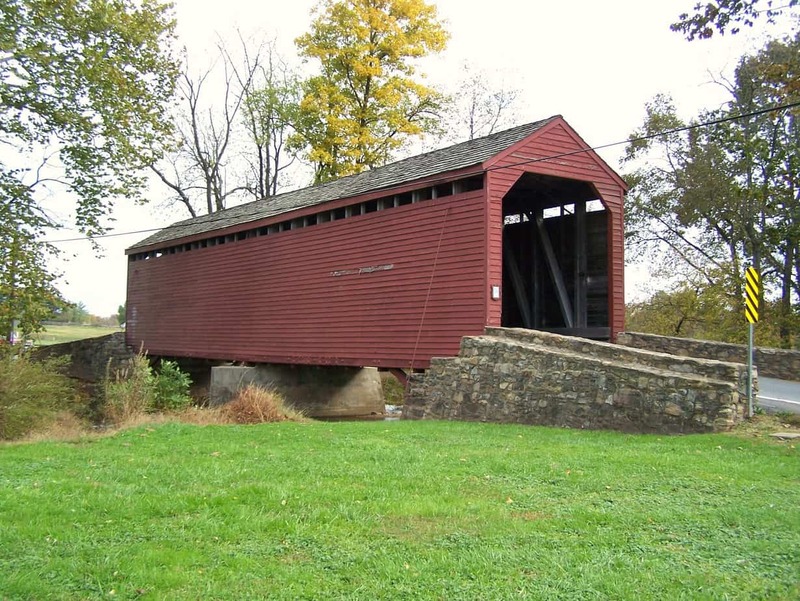 However, in 1889 the Johnstown Flood washed the bridge away. 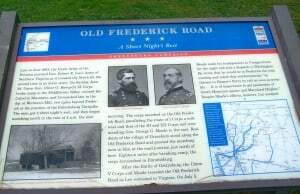 Luckily part of the original bridge was saved and reconstructed and relocated to its current location on Utica Road. 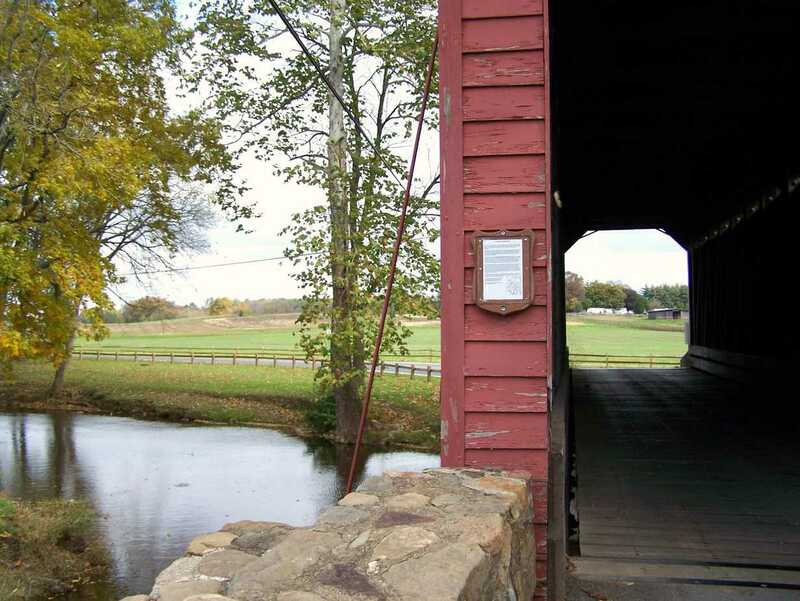 So, now I can cross visiting the 3 covered bridges in Frederick County off of my bucket list. But this won’t be the last time I visit them. All 3 of these bridges are gorgeous to see and give you the feeling of stepping way back in time. They are breathtaking. If you ever get the chance, visit them for yourself. I guarantee you, you won’t regret it.